Can you believe it is already June?!? 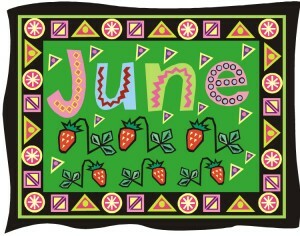 I just wanted to wish you all a happy and healthy June! And the heat makes it feel like August here in Houston !!! Supposed to be 99 tomorrow – ick!!! A great time to stay indoors in the a/c – office or home – with a glass of sweet iced tea and a good book! I’m totally enjoying the Scumble River Mystery series by Denise Swanson – started book 3 Sunday. Just wanted to let you know about a new author I’ve found. Her name is Janice Hamrick and her first book, Death on Tour, won the Mystery Writers of America / Minotaur Books First Crime Novel award. I didn’t see her on your list, so thought I should let you know. She’s from Austin, TX, and this book is about an Austin high school teacher on a tour of Egypt. I loved it! The characters are entertaining, the plot is well-developed, and the setting and descriptions are great. My humble opinion, anyway. I know all cozy mystery lovers will enjoy it!